FIENE, excellent rated in show, spirited females, confident, courageous with outstanding show type and excellent drive, expressive, nicely pigmented, feminine head, build in correct proportion, substantial, dry and firm, great movement with, ground covering gait, safe in nature, secure temperament, absolutely clear in the head, excellent genetic health from both parents. Her father is V Duncan vom Messina, 14th ranked in the world in 2016. Fiene's, Breed Value (HDZW) score is 88 (EXCELLENT)! 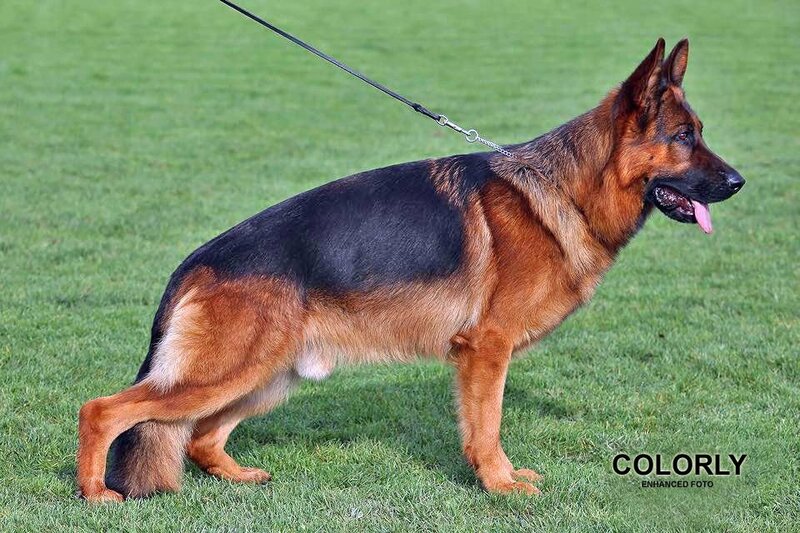 At Gunbil German shepherd dogs, we follow "Responsible German Shepherd Dog Breeders Preventive Measures" set by the German Shepherd Dog Club of Germany (SV) since 1966. Our obligatory breeding program for the fight against hip dysplasia with the method of the “Breed Value Assessment”, known as “ZUCHTWERT- Breed Value (HDZW)”. 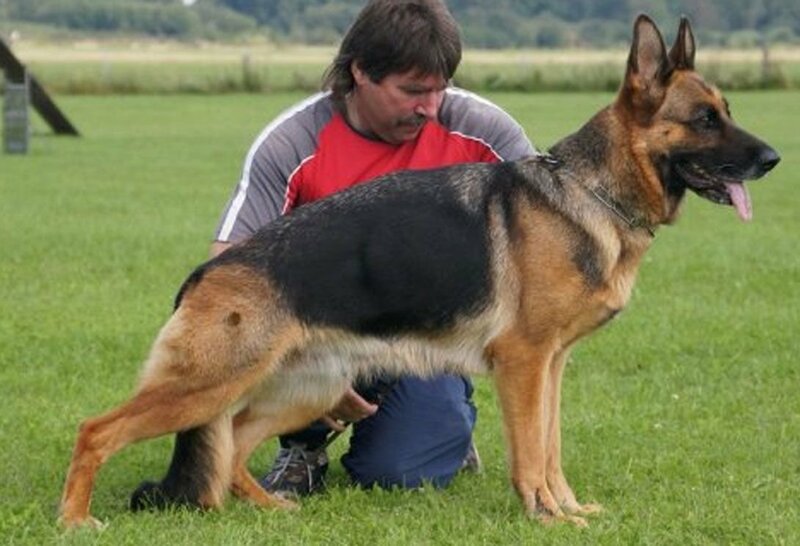 The limit is expressed through the average ZW (Score) of both dogs (parents) in the breeding pair. A limit for the average "Breed Value Score" is acceptable up to 100. But, a LOWER ZW number is much better in producing healthy hips for generation to come.